A sardine plant exterior, spreading herring on flakes for drying in the sun or in an oven. Herring was sold canned, dried or smoked. 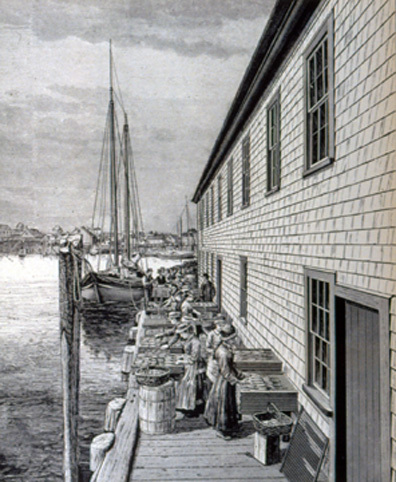 This image is from G. Brown Goode's The Fisheries and Fishery Industries of the United States, 1884-1887, Section V, Plate 139.